Home Delivery from £1 at ASDA Get your shopping sent straight to your door for as little as £1 at ASDA. 12 Month Anytime Delivery Pass for £5 Per Month at ASDA Save big on your supermarket deliveries with the incredible delivery pass at ASDA! Up to 30% Off Fresh Fruit and Vegetables at ASDA Make sure you're getting your 5-a-day at ASDA! Check out their great range of fruit and vegetables. 3 for £10 on Selected Meat and Poultry at ASDA Get prepping your meals for the week at ASDA with 3 for £10 on selected meat and poultry. 4 for £6 on Selected Quorn Products at ASDA Stock up on your favourite vegetarian and vegan products with 4 for £6 on Quorn at ASDA. Save 30% Off Health and Beauty Products at ASDA Get all your health and beauty essentials at ASDA. Discover 30% off selected products in the Roll Back Event! Up to 30% Off Baby, Toddler and Kid Products at ASDA Shopping for your child doesn't have to be expensive. Head to ASDA for all your must-haves. 3 for £10 on Selected Crisps at Asda Make sure you're never short of snacks with this great deal! Get 30% Off Food Cupboard Essentials at ASDA Stock up that cupboard with some goodies from the range at ASDA. 3 for £21 on Selected Crates of Beer and Cider at Asda With Strongbow, Becks, Heineken and more available, this is an offer not to be missed! 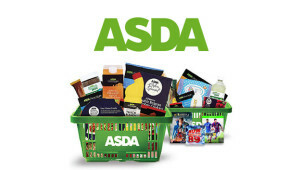 Unlimited Grocery Delivery from £5pm at Asda Cut down on delivery costs by signing up for a Delivery Pass from Asda. Free Click and Collect at Asda Just order ahead and your groceries will be ready and waiting for you! ASDA is a supermarket that has long been known for its great value, and for doing things a little bit differently to the other main UK supermarket chains. From warm welcomes in-store to the famous 'Rollback' advert jingle, ASDA offers competitive prices on both branded and own-brand products, as well as fresh produce. Additionally, ASDA has everything you need for household cleaning, as well as toiletries, beauty products, vitamins and medicines, and everything you need for babies and pets. You can find everything you need for your family at ASDA, both in-store and online, and can make some great savings when you use vouchercloud to help you shop. ASDA also allows you to order online for home delivery, or to order online to collect in store if you want to stop by the store but don't have time to browse. You can even save money on your alcohol shopping, especially if you're looking for the best value supermarket gin. We've also compared prosecco prices across the supermarkets, in case you're curious! How do I use my ASDA discount code? Your discounts will be included automatically if no code was required. Using ASDA's click and collect service can give you all the time saving benefits of shopping online, without having to wait in for a delivery. You can collect your order in store, or at other collection points including ASDA petrol stations, and automated click and collect service points. Your order will be kept frozen, chilled or in other appropriate conditions until you arrive to pick it up during your chosen time slot. What are ASDA's delivery options? When you order at ASDA online from their online grocery store, you can choose a 1-hour time slot for your delivery to arrive. That way, you won't have to wait around for your groceries! What is a Delivery Pass? ASDA allows you to buy delivery passes that let you have as many deliveries as you want at no extra charge, and include peak time delivery slots as well. How much is ASDA Groceries home delivery? You can get your shopping delivered for as little as £1, though prices do vary based on the time of day and the day you want your shopping delivered. To find out more about the Asda delivery options and prices click here and for delivery passes click here. Call ASDA free on 0800 952 0101. Use the Store Locator to find your nearest ASDA and its opening times. ASDA is one of the nation's favourite supermarket brands. Known for great value and its wide range of products, ASDA is a great place to shop for all your grocery and household needs as well as for clothes from GEORGE, plus electronics and entertainment. Make your money go even further when you shop using an ASDA discount code from vouchercloud. Whether you want to give your home a new look, or if you're looking for the best in fresh produce, interesting world foods or branded food and drinks - ASDA has some excellent deals that will help you feed your family for less! There is an ASDA app available to download so that you can have an even more enjoyable online shopping experience! Price check and order all you need for an epic Sunday meal. You'll find everything on your list and more in just a few swipes, letting you go about your day as usual, only feeling like a superstar because you've got through that to-do list! Make every Sunday special this year with help from ASDA. Shop a section of treats to keep the traditional joy flowing all throughout the day. From puddings to laid-back lunch essentials, an ASDA voucher code will let you save on everything you need. Shop organic, even Butcher's selection joints and much more to delight your family and friends this year.